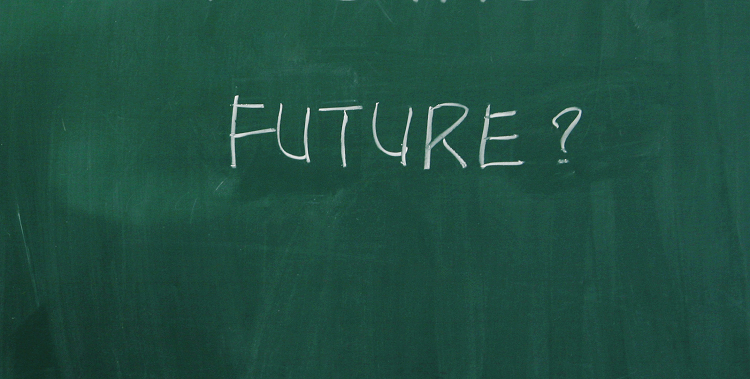 What Does The Future Hold For Drying Systems On Narrow Web Flexographic Printing Presses? Today’s manufacturing and converting processes have become complex, calling for automation and increased production. The use of computer controls and state-of-the art technology is becoming more evident. In the meantime, the cost of energy, industry’s biggest necessity, has become more expensive, especially for heating and drying. Industry has, therefore demanded that equipment manufacturers provide better and more efficient heating systems. Without doubt, one of the most talked about developments in label printing in the past 2 years has been drying systems. Traditional Hot Air, IR & Mercury UV drying technologies still account for a high proportion of systems on existing and new press installations. However a small number of equipment manufacturers have introduced alternatives such as LED UV and even Electron Beam technology as an alternative. So, what are the current thoughts and where is this going in the future alongside development of analogue and digital printing applications? An ink is a component which provides colour (pigment, dye or colourant) and a liquid base which provides a means of transportation from the ink fountain to the substrate. Other components and additives are included in the ink formulation to control the ink distribution process, fix the pigment onto the substrate, and enhance specific characteristics of the printed image. 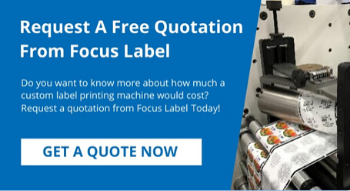 In today’s marketplace, where sustainability has become a business model and customers are loyal to companies that have proven their commitment to the environment, it is understandable why there is an increased interest in the flexographic printing marketplace to understand the capabilities of water-based inks and coatings, and in some cases begin to shift away from traditional solvent-based technologies. Flexographic inks are primarily used in the printing of packing materials such as cardboard boxes, corrugated cardboard, paper bags and plastic bags, food packaging, newspapers, catalogues and labels. The inks and method of printing continues to grow in popularity due to their low cost and environmentally friendly nature. The most important part of the printing process is the application of the ink. Traditionally, solvent-based inks were used, which were safe for food packaging, but harmful to the environment. The Environmental Law of the 1980s prompted printers to try out water-based inks. 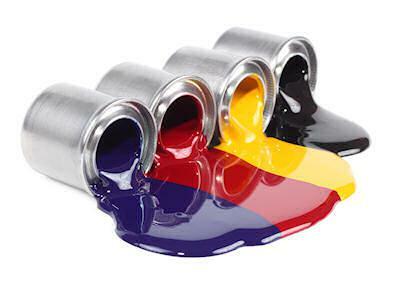 Today, most equipment is easily adapted to water-based inks, allowing printers to recycle ink for later use. Further technological developments now lend itself to UV ink solutions. The ink dries through an evaporative process that removes about 35-40% of the delivered ink volume. In other words, we have to deliver 40% more volume to the substrate with a solvent ink in order to achieve the desired colour density. Solvent-based inks have been popular for many years and provide excellent results on non-absorbent web surfaces, such as synthetic films. However, the evaporation process that takes place naturally can affect ink performance, so careful management of the ink viscosity to maintain balance of pigments and solvents is required. In an era of growing environmental awareness and reducing tolerance for environmental hazards, waste disposal issues are becoming a driving force in the choices manufacturers and printers make. 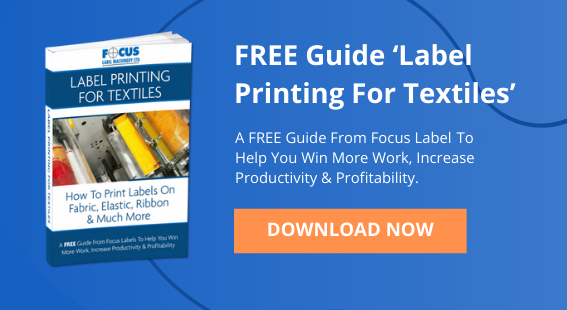 The same evaporation process is required for water based inks and many of the issues surrounding printing on synthetic substrates have been resolved with special formulations coming on the filmic inks banner. Water based inks are very fast drying and although it is a benefit for production, there is a down side in terms of press maintenance and cleaning of anilox rolls. Water based inks if left, will block the anilox roll cells - reducing ink transfer volumes and performance for half tones and process printing. So a thorough and regular cleaning regime is required for anilox rolls and investment in a cleaning systems, such as an Ultrasonic / Soda Blast or even laser cleaning technology. UV inks are comprised of monomers and oligomers that essentially cross-link in the presence of light of a specific wavelength. What that means is that UV inks do not "dry" with heat, air, or absorption, but only under certain specific unconventional conditions. Since those inks are usually 100% non-volatile materials, there is no concern for the evaporation of any volatile materials like solvents or water, and there is no need to monitor pH and viscosity once the inks have been adjusted. UV inks don't "dry" unless they are exposed to UV light. This makes the inks very stable on press and it is even possible to leave on the press overnight without any concerns. Consideration must be given to the end application especially surrounding direct food packaging where risk to ink migration cannot be accepted. The decisive ingredient is the photo-initiator, the chemical component that responds to the particular wavelength of the UV light. For LED technology to deliver speed and full cure, the inks have to be specially formulated with a photo-initiator that responds to the LEDs’ UV-A wavelength. Generally, this means LEDs and arc lamp systems require different inks. These inks are unique in that they are designed to cure specifically with LED UV systems in a very narrow frequency wavelength. At the moment, LED inks are not as widely available, so the choice may be limited. Varnishes, spot colours and special low migration ink formulations still achieve a better cure with arc lamps. Protective coatings also benefit from arc lamp short wave UV, as this achieves the best surface hardness. However, unsupported films, shrink sleeves and many delicate, heat-sensitive materials are safer to process with LED UV. Inks are very stable on Press. EB Inks are specially designed for Electron Beam curing systems. High-energy electron beams are produced by accelerating electrons in a particle accelerator. Energetic electron beams thus produced, can cause chemical changes in the ink coating. Inks used in EB curing make use of the polymerizing capability of acrylic monomers and oligomers. The EB ink viscosity is formulated to allow printing wet on wet, with a single drying system at the end of the printing process. The inks provide a 100% solid and cure at very low energy requirements. Print quality is reported to be of a very high quality with high gloss and rub resistance. EB Inks do not contain solvents or photo-initiators and therefore fully food safe & FDA compliant which is why some areas of packaging have embraced this technology. 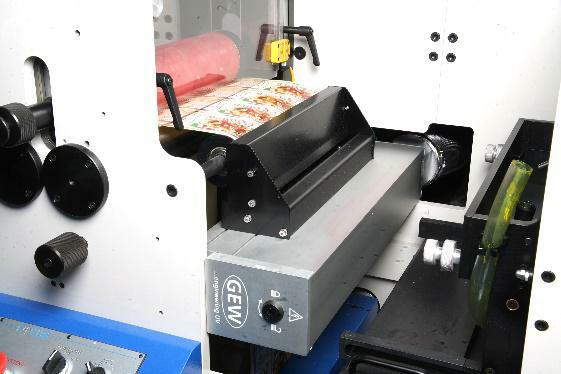 Many older presses may simply have a central heater box and distribute warm air to each individual print station. For applications using solvent inks and relatively slow output from older machines, this was often adequate enough. However, these systems are crude in design and inefficient. It is impossible to control localised temperatures for individual print heads. They add little to modern day production techniques and really hold back production especially on the latest modern synthetic substrates. 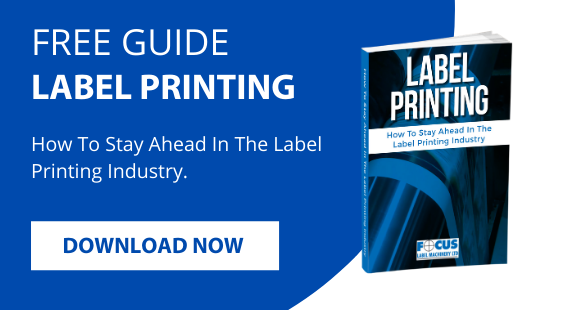 The narrow web and label printing market widely uses water-based and solvent-based inks and varnishes which require a system to evaporate the water or solvent content, leaving the residual pigment on the web. When many manufacturers of folding cartons and converters of flexible packaging changed from solvent to water-based inks and coatings, they found that they were no longer able to maintain quality or high production speeds. The reason was that water-based inks require more energy to heat than was capable of being generated by conventional hot air dryers. Many press manufacturers re-designed drying systems to include compact IR lamp boxes with forced air circulation. Infrared is transmitted directly from heater elements to the printed or coated surface. At full operating power, as much as 86% of the electrical energy is converted to usable radiant heat. IR energy is quickly and efficiently absorbed by the coating thus raising the coating temperatures, causing the volatiles to be driven out by evaporation. By adding IR heating units, the drying time can be decreased significantly. This means higher line speeds and increased production can be realised, especially since water-based inks can be dried in a fraction of a second, rather than several seconds required with hot air. Furthermore, the heat is instant, can be adjusted to press speed and varied in temperature between colours. Typically, a compact infrared dryer will take up less space than the equivalent hot air system. Several IR dryer manufacturers build modular units that can be put into small spaces. It should be noted that even though compact modular dryers can be added to most printing or coating equipment, the drying speed is determined by the amount of energy that the product can absorb at a given speed. This is called “dwell time”. Due to the limited size, the inter-station units are designed to partially or fully cure the inks to prevent picking prior to final drying. It is possible to build modular IR dryers as narrow as 180mm and rated at 500 to 4Kw per station. UV curable inks have been with us for many years and are now widely accepted in the printing industry. Inks remain stable until exposed to UV light even at high speeds. Since the characteristics of the ink remain stable on press, higher quality can be achieved and maintained throughout a production shift. Inks can even be left on press between shifts or overnight meaning less down time and more production time available in a working shift. A standard lamp has a broad spectrum of wavelengths, which spread from UV-C through UV-B and UV-A and visible and infrared. This means that an ink or coating formulation can have a mixture of photo initiators that cure over this range of wave lengths. 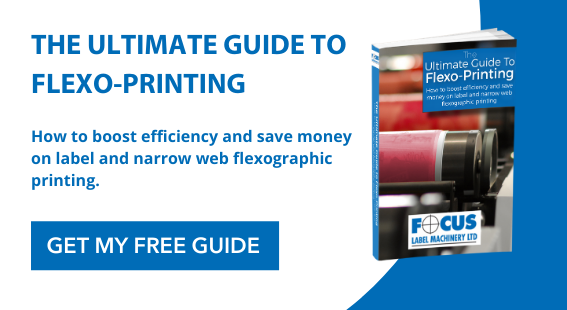 This is excellent for narrow web printers and ink producers in a wide range of markets from chemicals through to food. UV drying systems are relatively compact, so they can be retro-fitted to many existing presses and some manufacturers provide a cassette based system to enable you to switch between UV and IR lamp Systems. UV curing systems do require extraction for Ozone and also chill rolls if you are considering printing onto films to manage heat from the lamps. The increasing use of UV inks and varnishes means printing machines may need to accommodate drying for both UV and water-based coatings. On certain machines, this means re-webbing when switching between water-based and UV processes, or in some cases removing the hot air dryers altogether. Your press may have both options installed as standard, but some press manufacturers have developed a cassette-based IR system for water based inks, which simply slides into the lamp housing in place of the UV cassette and operates using the same control. UV LED is an alternative curing technique to mercury UV lamp curing which is primarily used today to cure UV inks in the narrow web industry. LED UV is used already in many industrial applications, such as visible lighting, water purification, and wood coatings curing, LED technology has now crossed over into printing applications. 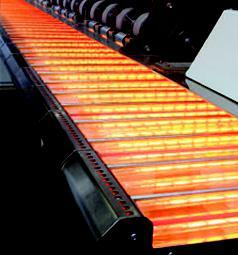 UV LED curing is used regularly in UV inkjet, large format UV screen and UV sheet fed applications. UV LED is an abbreviation for UltraViolet Light Emitting Diode. It offers significant advantages over mercury lamp curing. UV curing with a LED lamp occurs exactly the same way as when using a standard mercury lamp. The ink, coating or adhesive when exposed to the UV lamp undergoes a polymerization reaction. The main difference between a standard mercury lamp, and a LED lamp is the wave lengths emitted from the lamps which are available for curing to take place. A standard mercury UV lamp has a broad spectrum of wavelengths, which spread from UV-C through UV-B and UV-A and visible and infrared. In comparison today’s commercial LED lamps for narrow web have a narrow wavelength range UV-A, with a peak around 385 - 395nm. Therefore, the ink and coating technologies have been reformulated so that the reactivity and cure results meet printers’ requirements at this LED output. LED lamps also vary in irradiance output. In our industry, typical irradiance output is between 16 - 20 Watts/cm2. However, lower irradiance outputs can be used successfully depending on application and speed, etc. This compares to 140-190 Watts /cm of a conventional mercury UV lamp system. Over a 10-year period, the electricity consumption of a typical mercury arc system is 2,005,000 kWh; the equivalent LED UV system would consume 950,000 kWh, a reduction of over 50%. In the UK at approx. 10p/kWh this represents a saving of £ 105,000. EB curing inks can utilize less expensive and less reactive materials, and do not require costly initiators. The real expense involved in EB curing inks is the cost of equipping a press to utilize them. Whereas photons are the basis of UV energy, EB energy finds electrons at the heart of its procedure. The energy of electrons produced during these operations is determined by the accelerating potential found in the EB equipment being used. The equipment featured in EB processes consists of electrically operated filaments and grids contained within a vacuum chamber in which electrons are accelerated through a window or foil structure. When comparing the operating costs of UV to EB, most applications will result in a very similar cost. For food packaging and consumer product applications, the absence of Photo Initiators in EB inks reduces odour and the potential for their migration. Pinning or partial cure to affix inks before full cure is not feasible with EB systems. Where UV cure is suitable for all lengths of print runs, EB is more efficient for longer ones. EB ink systems also have been developed for flexographic printing. Flexo inks are traditionally liquid ink systems that require some degree of drying (dry-trapping) after the application of each ink layer. Interstation EB drying is not practical because of the size and cost of the equipment. If purchasing a new press, you may be offered a choice some of the drying systems discussed above. Selection should be dictated by the applications and markets you are involved in, your budget or even electrical power limitations. Upgrading your existing or used equipment is a reasonable consideration to improve productivity. 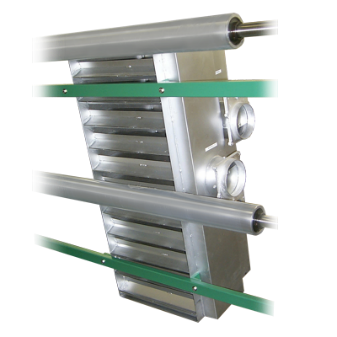 Modern drying systems are compact enough to be able to be installed in most narrow web press installations.